Do you understand all of the responsibilities of the Incident Commander on a Wildland Fire Incident? What if something goes wrong or is perceived to have gone wrong? How can the Incident Commander show that he redeemed his responsibilities? InciNotes™ provides the tools for the Incident Commander to document all aspects of Incident Management. 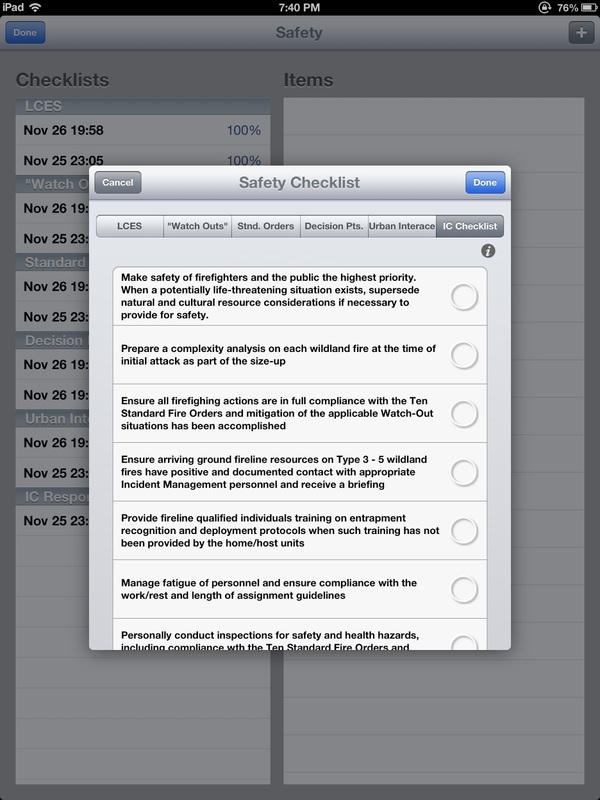 InciNotes™ provides an Incident Commander Check list. The Incident Commander checklist in InciNotes™ provides the Incident Commander the tools to document all his actions by date and time stamping each action. InciNotes™ Incident Commander Checklist follows the Standard Operating Procedures for Incident Commanders in Region 5 of the United States Forest Service, National Wild Fire Coordinating Group and "Red Book" - National Interagency Fire Center.